This week's show discussed the topic of conflict resolution and peacemaking for youth. Guest co-host Pat Amsden of Camp Appanoose of Plano joined Maxx on the show. 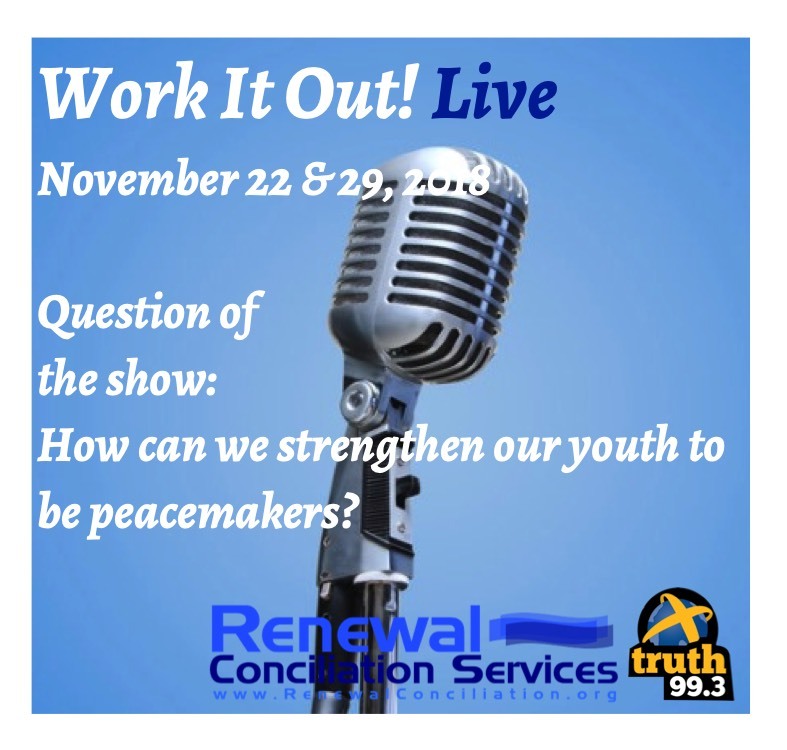 The call-in Question of the Week was: “How can we strengthen our youth to be peacemakers?” Deuteronomy 6:4-7, Isaiah 40: 27-31, Lamentations 3:27-28, 1 Timothy 4:12-16 were read and discussed. The show was sponsored by Camp Appanoose of Plano, The Edge Pro of Ankeny, and Lifestream Clinic of Grimes, Ankeny, and Ames.